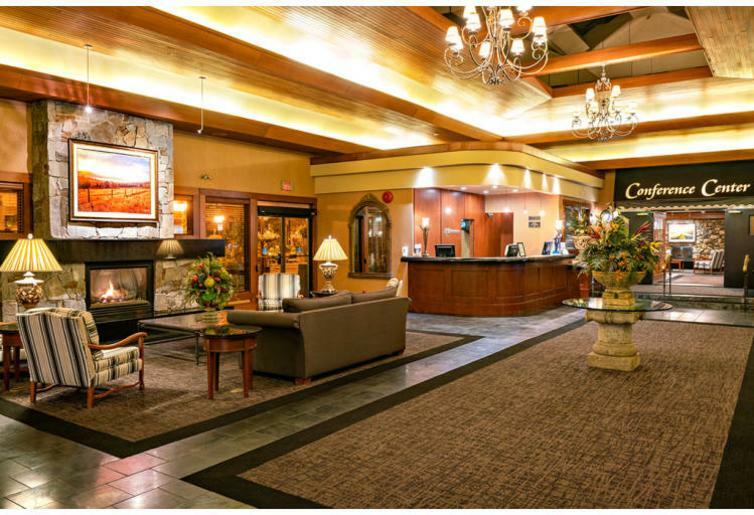 Conveniently located 10 minutes from both the Kelowna International Airport and downtown Kelowna, and less than an hour from Big White Ski Resort, Comfort Suites Kelowna offers family- and pet-friendly accommodations in their all-suite hotel. Their 83 suites offer 11 room types, so there is something for every group size and budget. Fuel up for a day on the slopes with their complimentary hot breakfast buffet, then unwind in the hot tub at the end of the day. Families take note, the kids will love the indoor swimming pool and waterslide. Ski & Stay rates start at $155/person, based on double-occupancy; promotion includes a one-night stay in a luxury suite along with two discounted Big White Ski Resort lift tickets. Located lakeside, the Grand Okanagan Resort allows you to walk around and enjoy the best of downtown Kelowna when you’re not on the slopes. Skate on the outdoor rink in Stuart Park, explore the cultural district, sip on a pint (or two) at one of the city’s breweries, take in a hockey game…the options are endless. The onsite restaurant, OAK + CRU, uses local ingredients and carries a wide selection of Okanagan wine available by the glass. With a variety of configurations in their rooms, suites, and condominiums, your ideal space will be easy to find. Ski & Stay rates range from $239-$399 CAD/night. 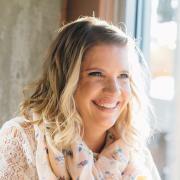 Includes one-night accommodation, one adult ski pass to Big White Ski Resort per adult (max. two per package), and one complimentary tasting in the Wine Experience Centre. Whether you’re travelling on your own, with friends, or with your family, the Kelowna Ramada Hotel and Conference Centre has the room for you. With several options including two-level loft suites, one-bedroom suites, and standard rooms, you’ll have the perfect spot to relax. Enjoy breakfast in the hotel’s onsite restaurant before you head to the hill or socialize in the pub when you return. A short walk from the hotel can have you strolling through Mission Creek Regional Park, browsing at Orchard Park Shopping Centre, or taking in a film at the nearby movie theatre. Ski & Stay rates start from $279 per night (based on double occupancy). Includes a stay in a deluxe room with two queen beds and two Big White Ski Resort lift tickets. With one-, two-, and three-bedroom villas that all include a fully-equipped gourmet kitchen, in-suite laundry, and a gas fireplace in the living room, The Royal Kelowna can become your home away from home for an extended ski holiday to Kelowna. Suites range in size from 730 to 2900 sq. ft and can accommodate groups of 4 to 8 people. After a day of fun on the hill, relax in the rooftop outdoor pool and hot tub where you’ll enjoy stunning lake views. Conveniently located in downtown Kelowna, you’ll be steps away from restaurants, cafes, and nightlife. Ski & Stay package includes a two-night stay in a queen suite and two adult lift tickets to Big White Ski Resort. Additional lift tickets are available for an added fee. Blackout dates may apply. 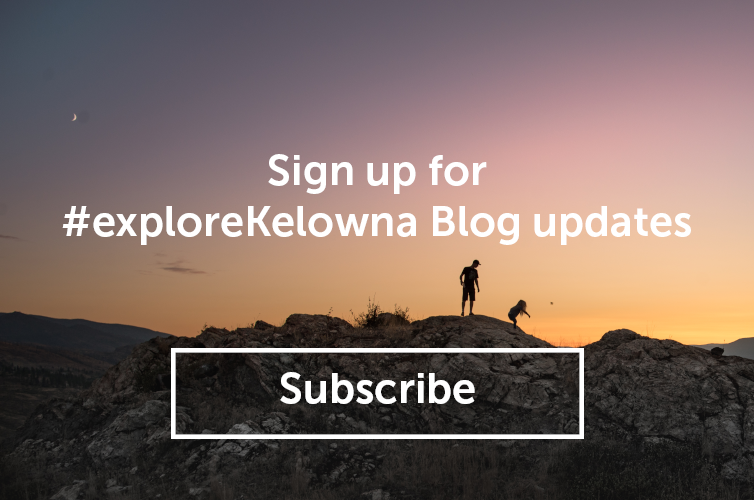 Travelling to Kelowna without your own vehicle? Transportation to Big White from any of these hotels is a breeze thanks to Cheers! Okanagan’s daily shuttle . Click here for more details on all the winter promotions listed above and to book.